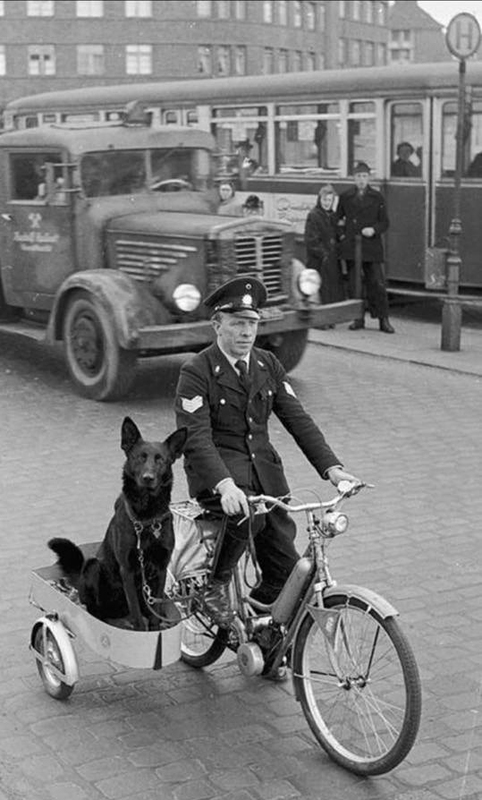 The black german shepherd 'Astor' in the sidecar of Hamburg police officer Ernst Müller, who says the dog is 'my eyes in the back of my head'. The picture is dated Jauary 1st, 1955. Thanks! Did you recognize the photo, or look it up to learn about it?